WORLD ISRAEL NEWS – Over three dozen former top European officials sent a letter Sunday urging the European Union (EU) to “stand by” the two-state paradigm to solve the Israeli-Palestinian conflict if U.S. President Donald Trump’s peace plan does not do so, The Guardian reported. ED-NOTE: The article is in French and dates back to August 2015. For those who can read French, the link to the article is below. For those who do not, here is a quick translation of the first paragraphs. Gearóid Ó Colmáin – When false flags were waved a few years ago, everyone was meming “Pray for Paris”. Where are they now? The great Catholic theologian Urs Von Balthasar once said that men who would forget the sense of beauty would forget how to pray and eventually forget how to love. Notre Dame was a testimony to the truth of the church. Its majesty mocked man’s scepticism. It was difficult even for an unbelieving man to enter it without a sense of awe; without feeling a certain…. revulsion at humanist pride. GULF NEWS – As the iconic cathedral of Notre Dame burned in Paris, a fire broke out at Al Aqsa mosque in Jerusalem. A fire broke out at the roof of a structure known as Al Marwani prayer room in Al Aqsa mosque in Jerusalem. NEWSWEEK – [The executive director of the] Observatory of Intolerance and Discrimination Against Christians in Europe, Ellen Fantini, told Newsweek that while in many cases the motive for the attacks was not known, France faced growing problems with anti-Christian violence, especially by anarchist and feminist groups. 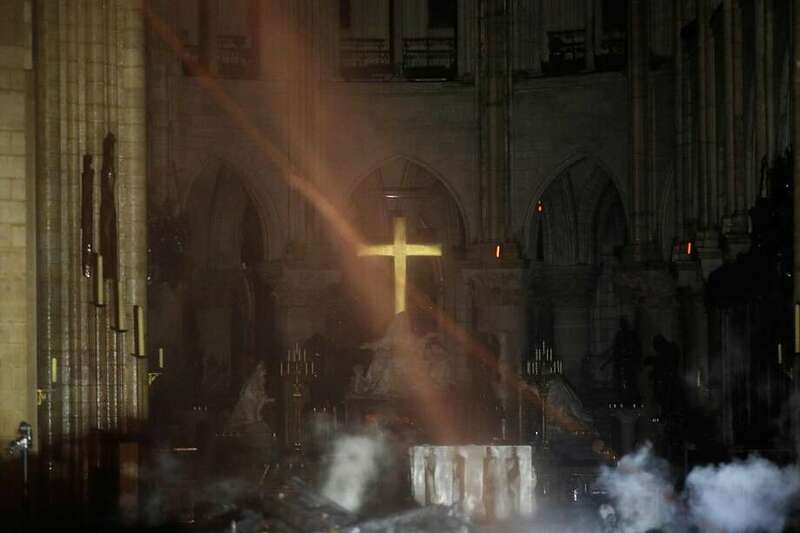 NATIONAL CATHOLIC REPORTER – Shattered statues and satanic symbols mark rise in attacks on French church.